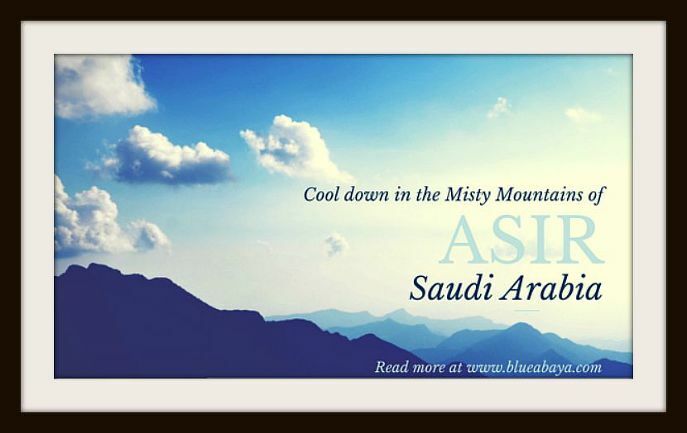 Click here to read more Blue Abaya travel articles and destination guides from the Kingdom of Saudi Arabia! 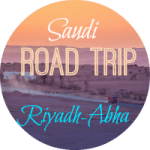 Head over to this post Saudi Road Trip Riyadh-Abha to find out more about driving to Abha from Riyadh. This article and images are protected under KSA copyright laws. Please do not use them without permission. 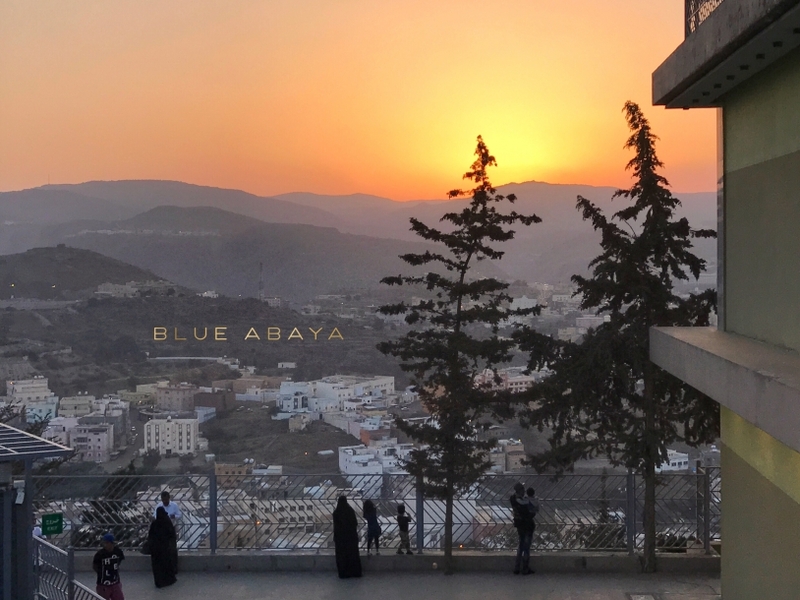 The city of Abha, located in the Asir Province, is a very popular holiday destination during the summer months due its beautiful scenery, the famous misty mountain tops and cooling breezes. Tourists from all over the GCC flock here to escape the sweltering summer heat. At an elevation of 2200m above the Red Sea level, the mountainous Abha region enjoys pleasant weather year round. 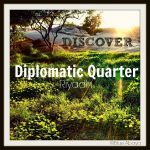 Asir region has plenty of attractions to do and it might be a challenge to decide between all of the fun and interesting activities. 1. Visit the New Abha resort and The Abha Lake Dam. Stroll around the lakeside in the 300,000 sqm garden and dine at the luxurious Abha Palace Hotel with fantastic views of the lake and the city. You can take a scenic cable car ride from the resort to the Green Mountain. 2. Take a thrilling cable car ride down to Habala, the Hanging Village. This ancient village was built halfway down a cliff face and it used to be only accessible by ropes. It’s believed that the villagers fled the Ottomans here and lived in isolation completely self-sufficiently until they were rediscovered by a Saudi army helicopter. 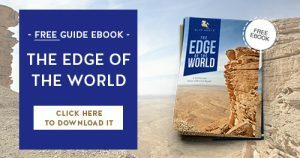 The site is a unique piece of Saudi history but unfortunately it has become quite commercialized in the last few years but it’s still worth the visit. The cable cars usually run only during the holiday seasons. 3.. Drive up to the Green Mountain in the middle of Abha city. The “mountain” is actually a hill overlooking the city which is beautifully lit with green lights in the night. There’s a restaurant and café on the top with a nice outdoor terrace enjoying amazing views of Abha. Try the mint tea and sheesha while enjoying the sunset and the cool breezes on the terrace. On the way up be sure to stop at the excellent souvenir shop. There’s also a small restaurant decorated like a traditional Asiri mud house in the basement of the shop. 4. 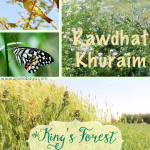 Take a hike in the nature to the various parks inside Asir National Park such asAl Qara’a, Al Souda, Al Wardeh, Dalafan, Al Jarrah, and Al Hassab.Wander around the juniper forests and spot some of the 170 bird species that make this region their home. 5. Take in the jaw dropping scenery in Soudah and marvel at the highest mountains in Saudi Arabia including the tallest peak, Jebel Soudah rising to 2910m. The mountains are famous for the mist covering the mountain tops which makes the atmosphere almost mystical. It’s always cool and serene up here. Enjoy a picnic in full privacy with only the wildlife to interrupt the silence. 6. Take the Al Soudah cable car ride down to Rijal Alma’a heritage village. Visit the museum and the traditional food restaurant or just take a stroll in the beautiful valley. Don’t miss the beautiful interiors full of al Qatt al Asiri. 7. Try some extreme sports in an extremely beautiful environment. Paraglide down from the mountain tops! 8. Discover Asir regions traditional architecture by visiting the Shada Palace, Al Milfa Palace and the old mud houses dotted around Abha. Visit the AlMiftaha village turned museum to see how people lived back in the day and check out the local artists displaying al Qatt al Asiri artwork. 9. Meet the famous Arabian Baboons that can be spotted beside most of the mountain roads. There’s a population of them near the Soudah cable car ride scavenging food from tourists. Be mindful of children with food in their hands, the baboons might attempt to grab it! 10. Explore the legendary Asiri souqs that have been named after the days they’ve been held on for centuries; Abha’s Tuesday market (Souq Al Thulatha) and its sister city Khamis Mushayt’s Thursday Market ( Souq al Khamis). The Tuesday market has a separate women’s souq run by all female vendors and the Thursday Market boasts some of the best gold and silver Bedouin jewelry in the region. Other finds are white or gold honey, colorful straw baskets and hats, traditional embroidered women’s dresses, Jambiyah (daggers), frankincense and ‘shab’ a white powder used by locals as a natural deodorant and antiseptic. More travel inspiration from Saudi Arabia: Check out the Wanderlust KSA posts! Oh my goodness! When I read about the baboons, I thought it referred to the photo of the man ABOVE the caption! I was shocked! Then I scrolled down and laughed at myself for being stunned. Awesome post. Got me all I needed to visit Abha. Will be going Inshaa’Allah this Eid. Do you have the GPS coordinates for Shada Palace, Al Milfa Palace and Al Miftaha Village? Hi Ahad! Thank you, so glad to hear that! We’ve been to Abha last month during the Hajj Holiday. We went to the green mountain to Al Soudah. We just used google Maps on our phone and unlucky for us, we have chosen the longer route. and even got worse because the road is narrow and one wrong steer and we could fall into the ravine. Salaam, I’d like to visit Abhaa but I want to take a flight in, is it easy to get around without a car there, eg taxis? would be a good time to visit abha in the month of decemeber ?. We have plans to go next week .. Is there anyway to contact tourist spots like haballah cable car, abha lake dam/resort, asir national park before we start ? ?